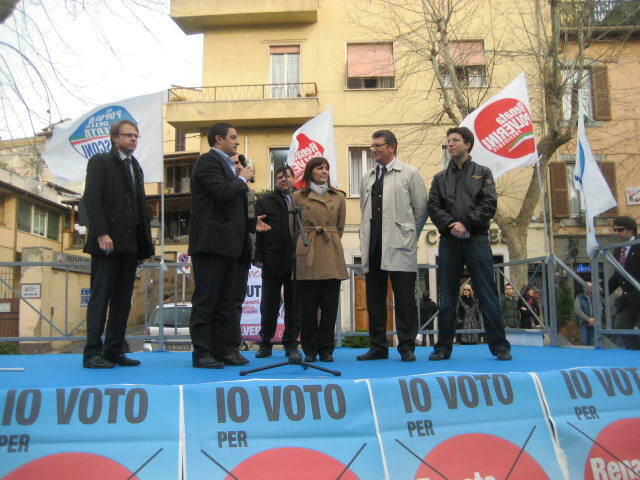 Renata Polverini Presidente was a list in support of Renata Polverini, the successful presidential candidate for the regional elections in Lazio, 2010. Polverini was supported by the center-right parties, in this case mainly PDL, UDC and La Destra. As Polverini herself was an independent, her list received a surprisingly high number of seats in the regional parliament, namely 17. The list symbol was red with the inscription "Renata Polverini Presidente" in white and three streaks in the national colours. The flags was white with the symbol [1,2,3].